Kia has been on a roll of late. With excellent cars like the Optima and Sportage offering great styling, value, and ride quality. They’ve also recently acheived their long-running goal of going from worst to first in the J.D. Power Initial Quality Study, beating much pricier luxury brands to the top of the list for 2016. 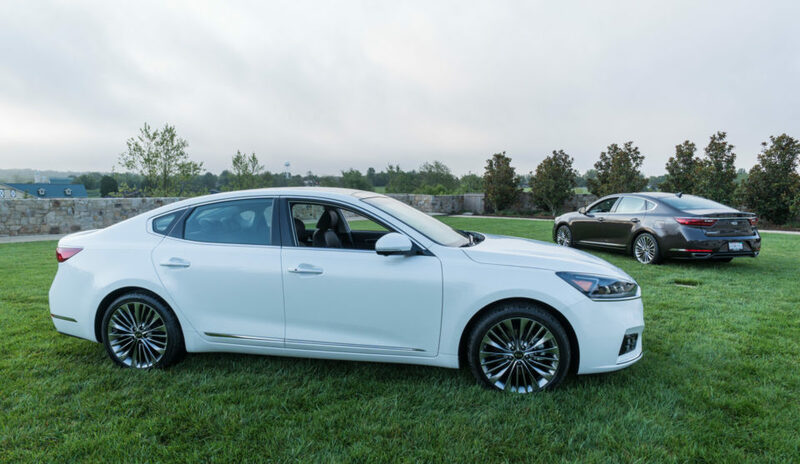 In recent years, Kia has also tried to broaden its portfolio, with cars like the Cadenza and the K900 helping to elevate the line. Both of these cars offer a more sophisticated and downright fancy feel than the rest of the Kia lineup, appealing to an older and more established driver than their other cars. Prior to this week, I’ve only had very brief driving experiences in both cars, so my impressions were mostly limited to their aesthetics, which are quite upscale, especially at their prices. With the Cadenza having first launched in the U.S. in 2013, it hasn’t been on our roads that long before this revamp. That said, I find the visual appeal of the new model to be much greater than the outgoing model, highlighted by a bold new grille that takes Kia’s trademark “tiger nose” grille, and makes it more European in look than ever. The horizontal slats are especially dramatic, and the angular look of the new headlamps helps give the front end a more modern and aggressive look. Kia also extended the Cadenza’s wheelbase and widended its stance, resulting in a more masculine and powerful overall look. 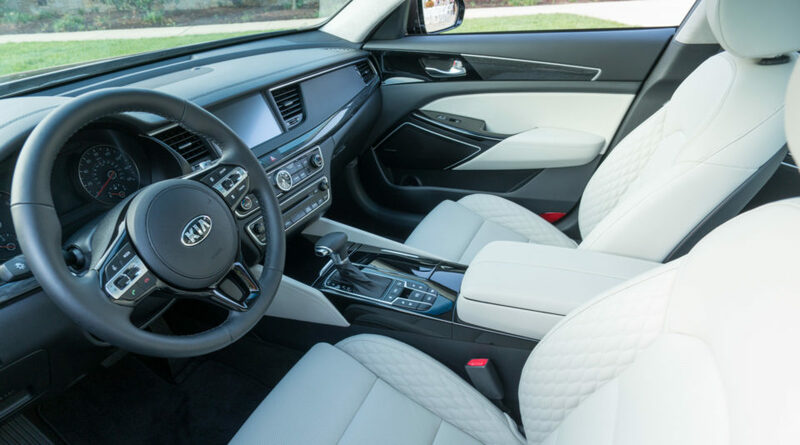 The interior of the Cadenza is especially striking, with clean horizontal lines across the dash, and the most premium looking interior this side of $70,000. Of particular note are the diamond-quilted Nappa leather seats, which offer great support and comfort, and both heat and cooling. The Cadenza is also quite spacious. In fact, it 107.8 cubic feet of passenger space beats all of its direct competitors. And if rear seat legroom is important to you, the Cadenza has more than enough for even the tallest passenger with room to spare. 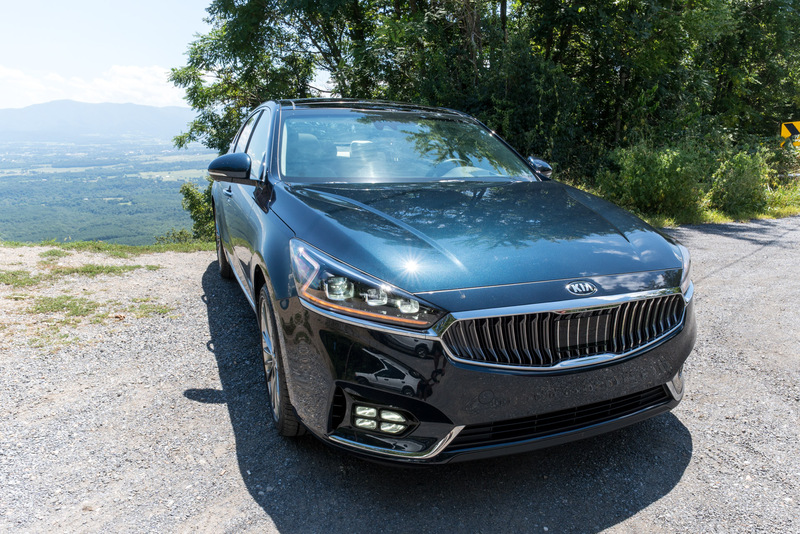 While many of the changes to the Cadenza are cosmetic, Kia did put some engineering time and energy into improving its ride dynamics. 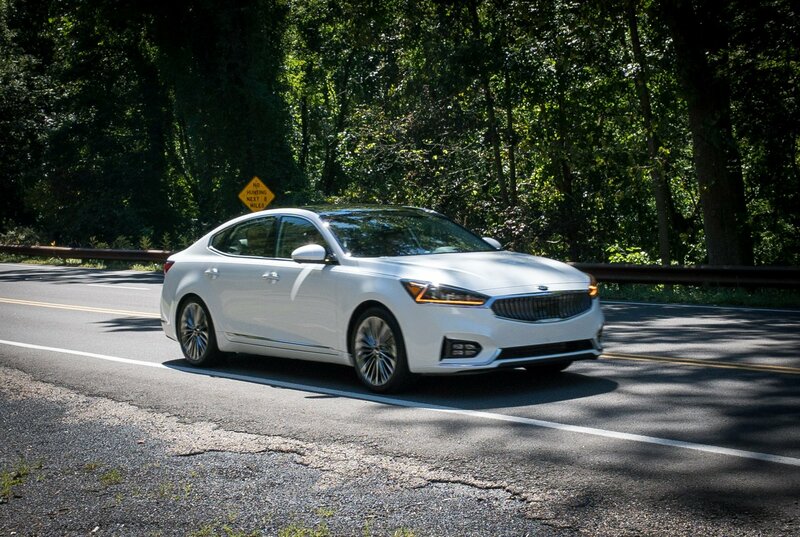 Make no mistake – the Cadenza is a front-wheel drive luxury sedan, and not a rear-wheel drive sports sedan. Its ride is soft, smooth, and quiet. While it’s no speed demon, the newly revamped 3.3-liter V6 offers up a smoother and more rewarding torque curve than the prior model, in part helped by a brand new 8-speed gearbox, engineered in house at Kia. Increased use of high-strength steel and industrial adhesives result in a more composed ride, so it feels cushioned, but not mushy going into the corners. Steering feel is light to neutral in Comfort mode, while the weight is quite engaging in Sport mode, providing a much more direct feel than you might expect from such a quiet luxury sedan. The cabin is whisper quiet, soaking up road, wind, and engine noise better than a Sham-Wow soaks up spills. The only sound that broke through the peace and quiet was an occasional rattling sound from a spot on the headliner, but I’m reasonably certain that was a one-off issue with our pre-production tester. 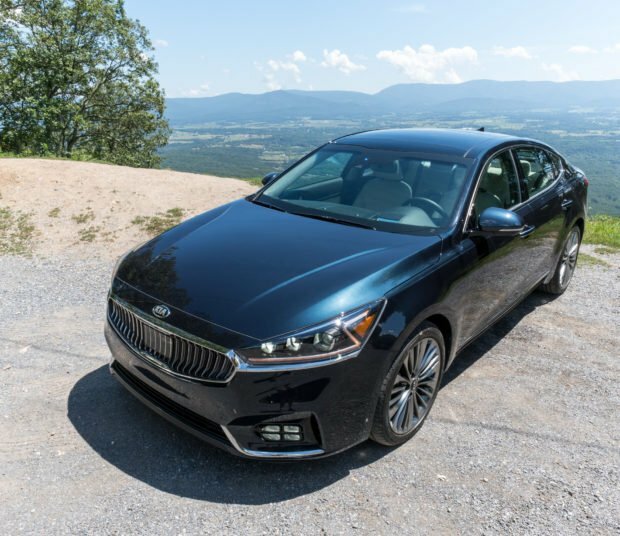 When outfitted with the top-of-the-line SXL package, the Cadenza comes loaded with a huge array of features, including intelligent cruise control, a super-crisp new surround-view camera system, lane departure warning, autonomous emergency braking, a heads-up display, and a unique blind-spot monitor system which will actually apply a tiny bit of brake pressure to the outside wheel should you start to drift into an occupied lane, as a not so subtle reminder not to do it. Overhead, you’ll find a large panoramic sunroof, and the back window has an electrically-retractable sunshade. Audio is provided by a 14-speaker Harman/Kardon audio system with Quantum Logic surround sounds and Clar-fi tech, which helps restore dynamic range to digital tracks. 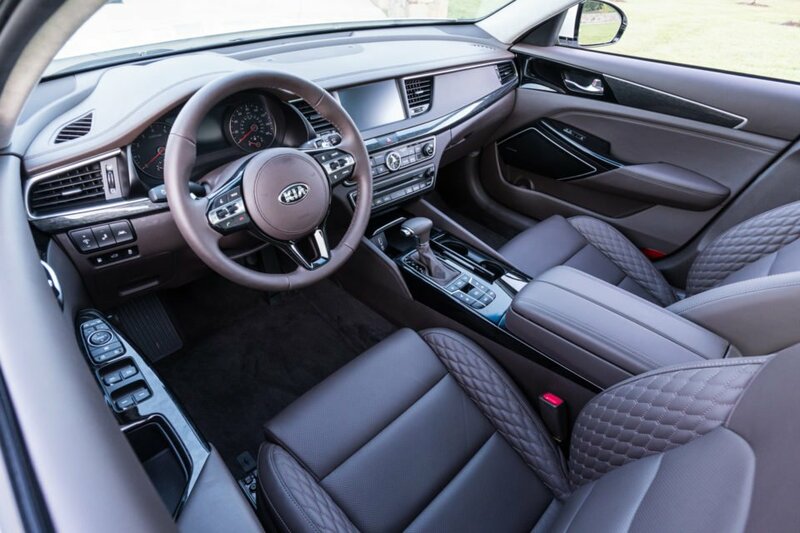 The car also sports the latest version of Kia’s already very good UVO infotainment and telematics system, which includes both Apple CarPlay and Android Auto integration. 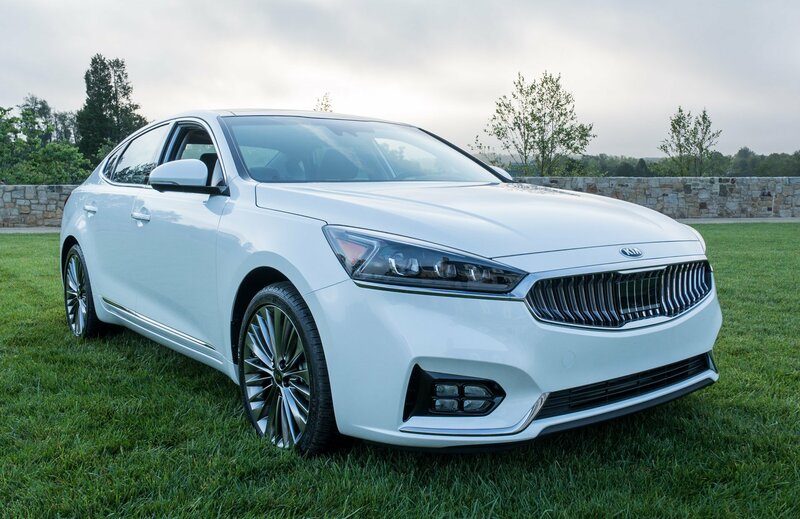 While pricing hasn’t been officially announced for the 2017 model, all Cadenza models are expected to see price decreases from the outgoing models – this despite the improvements and added features. The Premium model is expected to start at less than $32,000, the Technology model at less than $39,000, and the SXL reviewed here at less than $44,000. The new models will hit dealers this October. 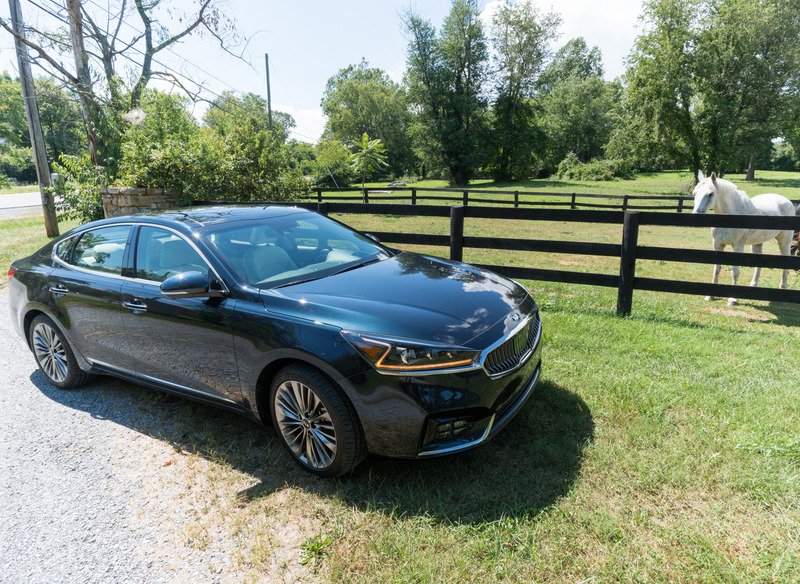 Overall, the new Kia Cadenza is a great car for anyone looking for a sedan with plenty of room, comfort and luxury, but doesn’t want to break the bank doing it. 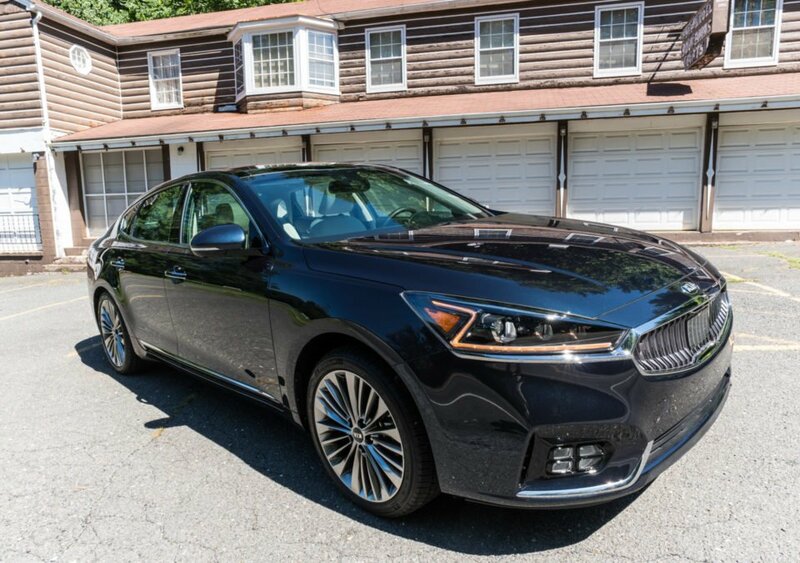 Like all Kias these days, the Cadenza offers tremendous value, complemented by premium finishes and features, excellent quality, and the best warranty in the industry.